Your skin is your largest organ. It has blood supply and a lot of what goes onto your skin gets into your blood and is circulated through your whole body. Most sunblock products on the market contain hormone disruptors as their active ingredients blocking the UV rays for you. Hormone disruptors are chemical that act like female hormones, but not in a normal/natural way. They increase cancer risk, disrupt the way the body works with sugar and fats and have the potential to do a lot of harm. One example of a rather famous hormone disruptor is BPA. 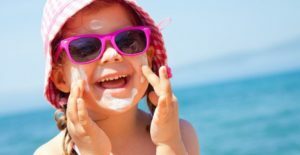 Many people are aware that it would be wise to avoid BPA, but do not realise that the same type of chemicals are found in most sunblock products if you are not selective in what you use. Not only do we suffer, the environment also suffers if we lather ourselves with hormone disrupting chemicals. It is not hard to see the layer of suncreams in the water when the beaches get busy and the water is calm enough to see the surface layer. Some of the sunblock gets absorbed into our bodies, the rest gets rinsed off when we swim and later shower. Sealife, including fish, coral and more, suffers significanty with these chemicals, just like we do. In our sunblocks particularly are some very strong hormone disruptors. Unfortunately, the hormone disruptors make the sunblocks very easy to use. Sunblocks with hormone disruptors are mostly the ones that are absorbed into the skin very conveniently. We tend to pay more attention to convenience than health until we get seriously ill or our environment falls into crisis around us. Lets change this attitude and stop using sunblocks with hormone disruptors for our own health and for the environment. If any of these are in your sunblock, you want to stop using it. 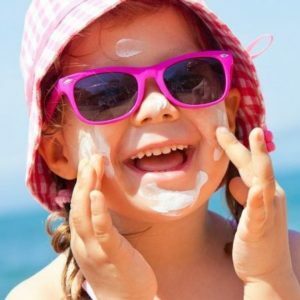 There are a number of sunblocks free of hormone disruptors, however, they are not in large grocery stores yet. Safe sunblock products usually contain small zinc oxide particles as a physical block and this is not harmful to you or the environment. You can find some wonderful and safe sunblock products online at: www.embracelife.co.za and at other similar minded stores!